Buds are appearing on the trees here in New York, and birdsong is steadily taking over for my alarm clock. Those of you with allergies know that this means one thing: pollen season is almost upon us. Pollen is a fine powder produced during the process of plant reproduction, and starts out life in the anther of a male plant. When the anther has finished its job, the pollen dries and goes its breezy way. Now, here is where everything hits the fan. 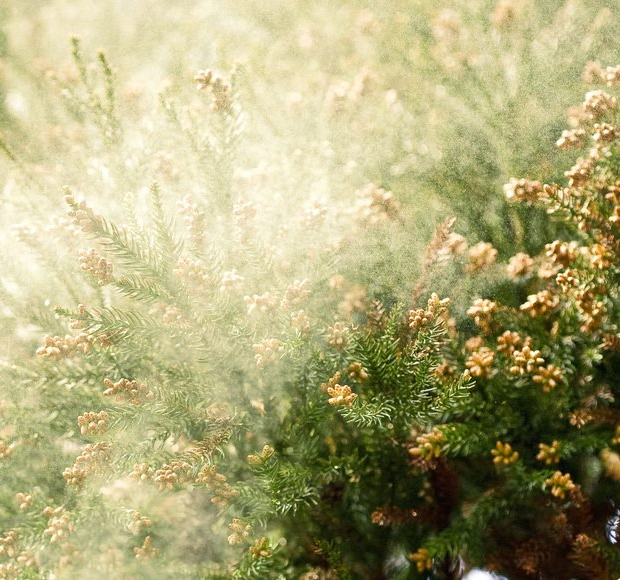 Once the pollen is free of its floral home base, it spreads out across the world. Though it is meant to be fertilizing female plants, it seems to me that pollen exists for one purpose, and one purpose alone: to make all the nearby humans miserable. Springtime is when Mother Nature takes her revenge upon the world’s fauna. She ravages us with waves of irritation disguised as fairy dust. We are driven inside in hordes, gasping for clean air and tissues. The seemingly innocuous dust spreads into every nook and cranny, including—rather horribly—your eye sockets. Every year I find myself walking hurriedly under the local oaks and pines, hoping and begging that a gust will not rouse their powdery fury. To my allergic brethren, I say this—let us prepare for the coming month, and I pray to the tree gods that we will all make it through May.